Thermodynamic properties of liquids and solutions can now be very quickly predicted, through fast approximations of sigma profiles through SMILES strings or xyz coordinates. These new fast methods are available in the COSMO-RS in our AMS2018 release. The fast estimation methods rely to a large degree on Group Contribution (GC) methods and provides estimates of COSMO-RS sigma profiles in milliseconds. This allows for a drastically expedited search through candidate molecular structures, compared to generating sigma profiles with MOPAC or DFT (ADF). 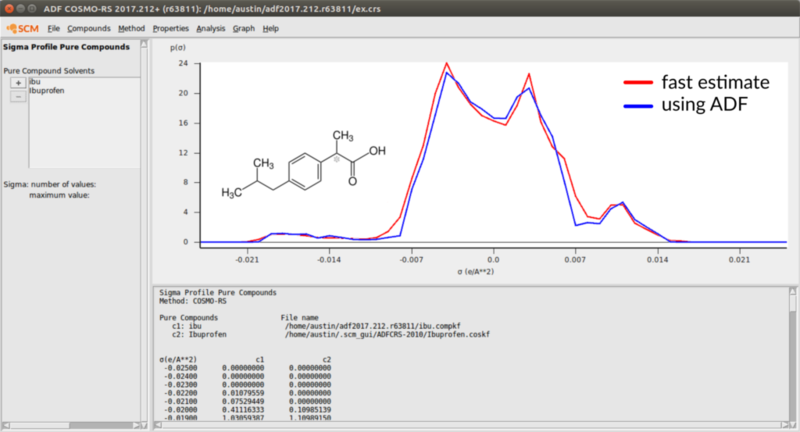 You can directly compare the estimated sigma profile of Ibuprofen with the sigma profile in our compounds database, the latter being calculated with ADF using the full-fledged COSMO-RS strategy. The estimated sigma-profiles can then be used as any other sigma-profile to calculate thermodynamics properties. 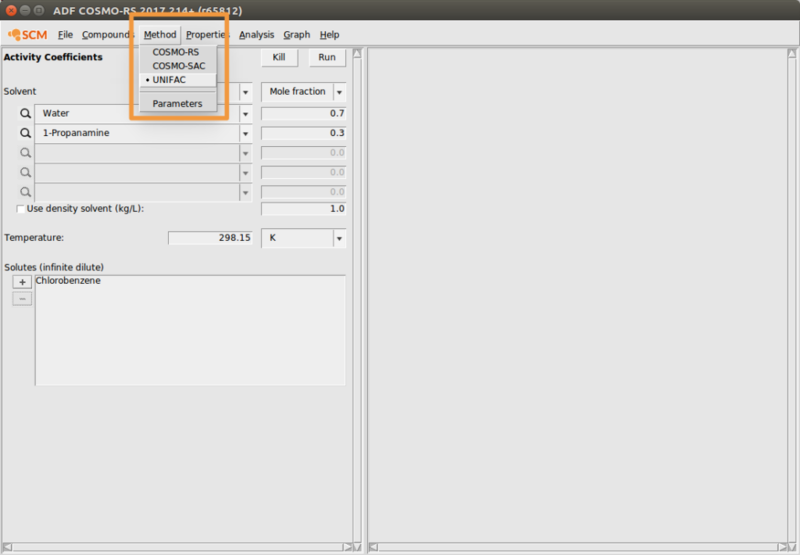 See for yourself how this is done: COSMO-RS GUI tutorial. In addition to th existing modules COSMO-RS and COSMO-SAC, we added the well known UNIFAC ( (Fredenslund, Aage, Russell L. Jones, and John M. Prausnitz. “Group contribution estimation of activity coefficients in nonideal liquid mixtures.” AIChE Journal 21.6 (1975): 1086-1099.) 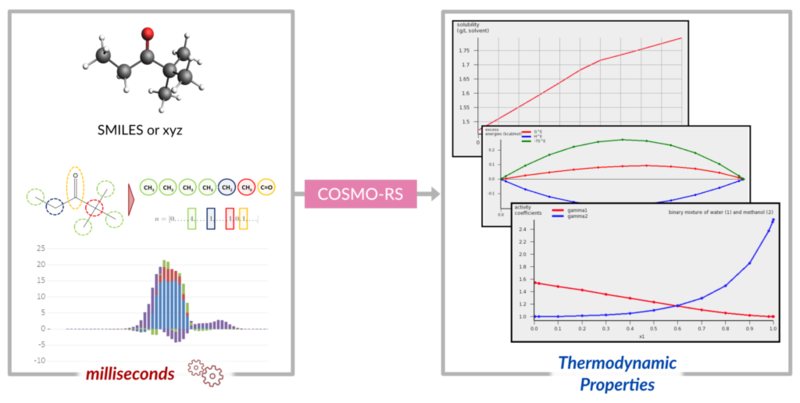 thermodynamic models to our COSMO-RS module. UNIFAC can provide very high accuracy in certain domains of the chemical mixture space and is an important add-on to our current fluid thermodynamics modeling capabilities. 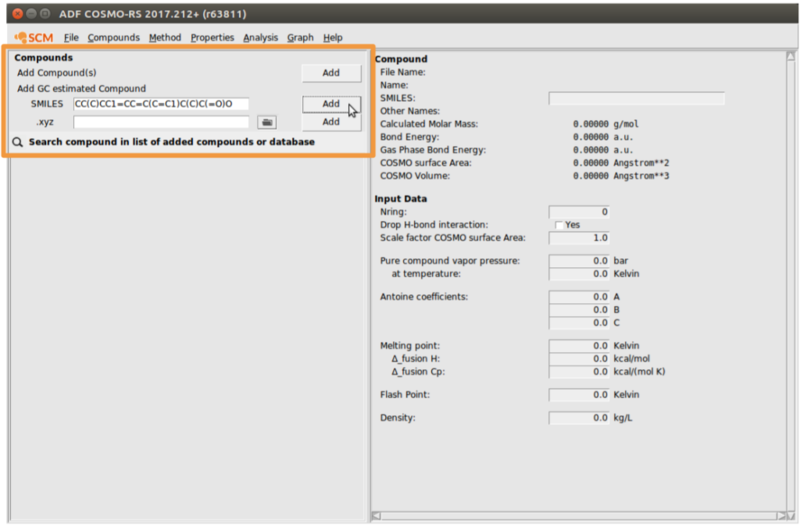 The UNIFAC module can just be selected from the Method dropdown menu in the COSMO-RS GUI.